Online music is a profitable business. Yet, it is very popular and you must find a way to highlight your fan club website or music band website. 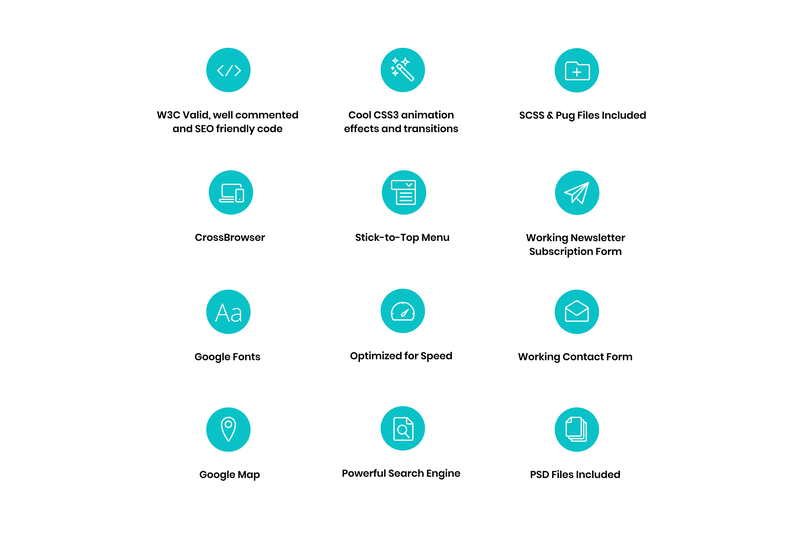 You have to develop an eye-catchy and fully editable website. It also has to be full of various visual effects. And if you need such a website then we cog you covered. 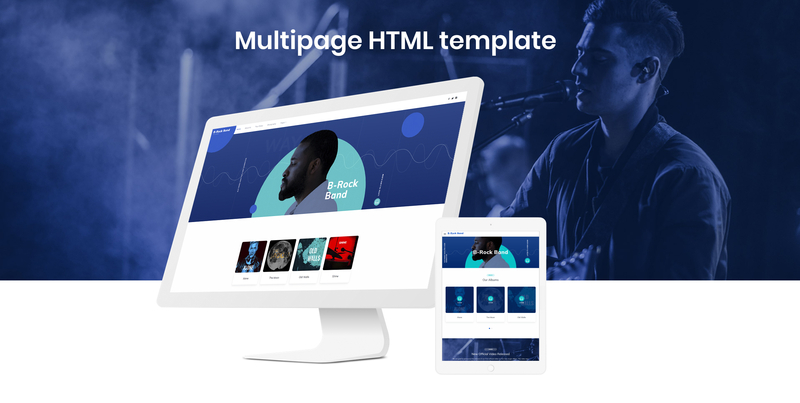 B-Rock Band HTML Template is a perfect choice for a band website, festival website, musical library website and many other web projects. 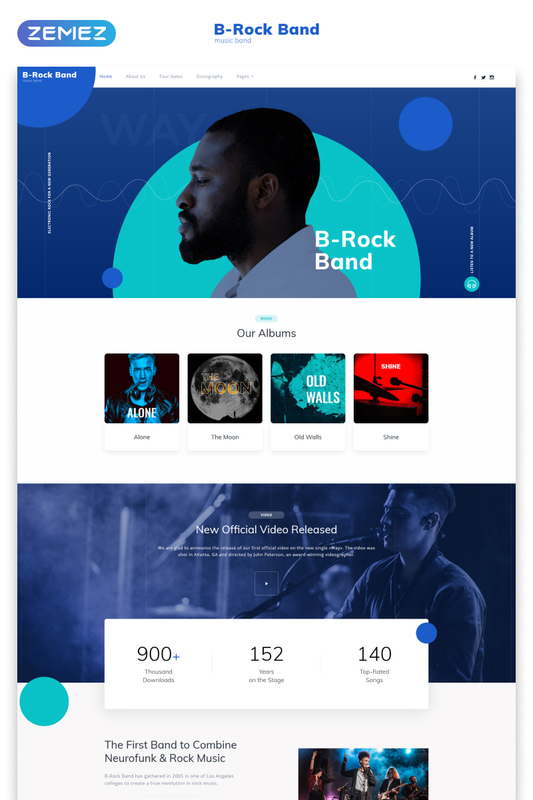 You can use this a website built with B-Rock Band template to tell users about your discography, tour dates or your team. 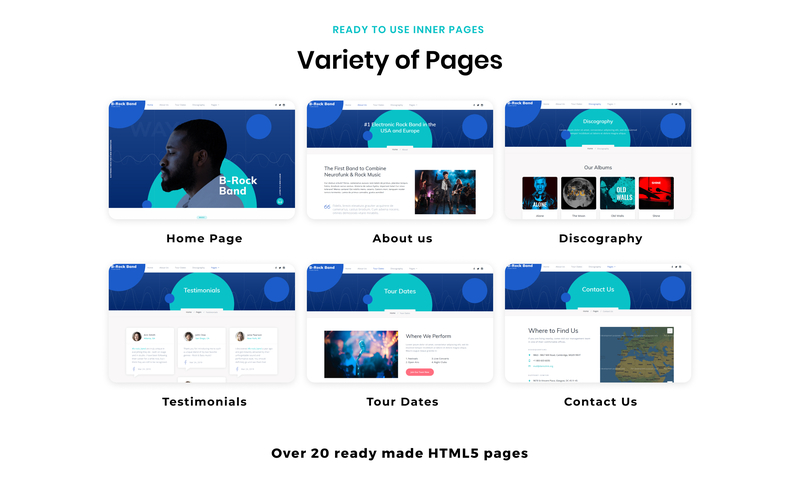 You can also decorate a website with various design features. It is highly responsive and looks good on PC, smartphones, and tablets.